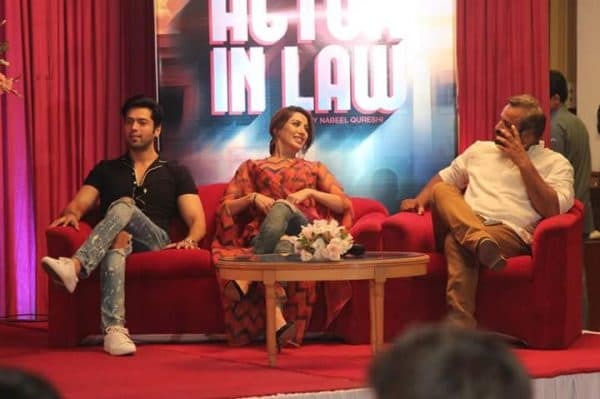 In the event of the trailer launch of Actor in Law, there was a question and answer session in which Fahad Mustafa, Nabeel Qureshi, Fizza Ali Meerza and Mehwish Hayat talked about the film. 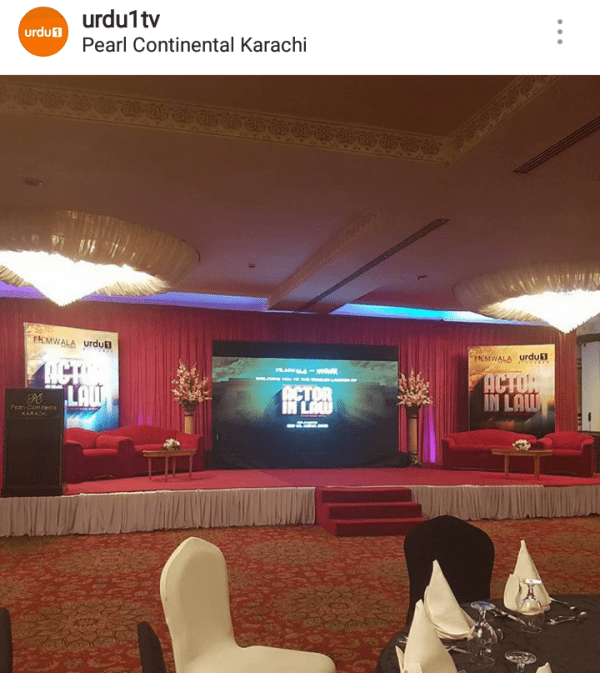 There is a scene in the trailer where Fahad Mustafa’s character says something like, ‘‘Quaid-e-Azam bhi actor banna chahte thay.” The journalists present at the event found this to be a bit offensive. 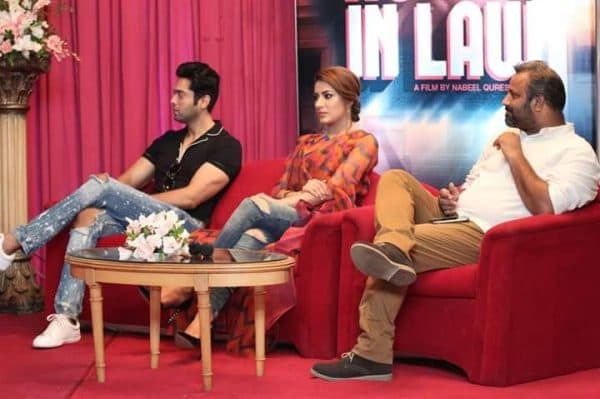 Fahad Mustafa responded by saying that it’s a film, and the line was part of its content. He said in films such things came up and he would like all to see it first. He assured the media that there’s nothing offensive about the film, so people should watch the film and support Pakistani cinema. Nabeel Qureshi explained that the media had seen the trailer in a ‘scattered’ way so they didn’t know of its [line’s] background. He said he hadn’t included the line out of nowhere. He said it was based on facts and actually the idea for the film generated from it. He reiterated that the Quaid-i-Azam wanted to be an actor because when he went to London to study law, he had tried to do Shakespeare. He said the Quaid wrote this to his father in a letter, to which his father said he couldn’t betray his family. He said that made the Quaid into a great lawyer and he helped us gain independence. Fahad Mustafa emphasized that this [project] was all entertainment. Fizza Ali Meerza said that the film is a product of a lot of hard work and is made with the ‘right intention’. She said they had tried to entertain the audiences, adding that only after watching the film (which is set to be released on Eidul Azha) one could tell how successful the team was in entertaining cine-goers. Nabeel Qureshi said earlier in the day when he logged onto his Facebook page he realised that it was on June 27, 2014 that the trailer of Namaloom Afraad was launched. He called it nostalgic. He said the last time he was very ‘confident’ but this time round he was ‘conscious’, because previously no one knew him. Actress Mehwish Hayat, who plays the female lead in the story, said her experience of working in Actor-in-Law was very good. She said it was a privilege for her to be a part of the venture. She said hers was a challenging character for which she had to rehearse many times. She said her role had quite a few ‘shades’ and the movie was a ‘social comedy’. Fahad Mustafa termed the film a ‘brave attempt’ saying that it wasn’t the conventional comedy. He said it touched upon social issues that we all wanted to speak about but couldn’t. He said the characterisation was good and probably the audience would leave the theatre after watching the story with a message.